I read David and Goliath recently because I had seen a teaching article saying it’s a good read for educators. Also, I have read all of Malcolm Gladwell’s books because I find them very interesting and enlightening. The book, as the title obviously implies, is about how often there are instances in life when having an obvious disadvantage can actually turn out to be an advantage. Just as the underdog David defeated the giant Goliath, so too have ordinary people done great things in life by turning their weaknesses into strengths. It ties in with education in this way, because a lot of success in schools has to do with perceived advantages when in reality there are many other unrecognized positive attributes that students possess. There are even a few chapters that relate directly to education. Gladwell mentions the debate about class size as an indicator of a successful school, for instance. Most people would believe that small class sizes are better but he points out that only until you reach a certain limit is that the case. If class sizes are too small then students are less likely to take risks and there is less diversity of opinion to learn from. He also mentioned that the effect weath has on students works in the same way. It creates an upside down U curve because wealth is an advantage to students only up to a certain point when it becomes destructive to a student’s success in school and then later in life. There is a fine balance of many factors that contribute to the current education debates. Another spin on the book reminds me a lot of the book Mindset by Carol Dweck. This book popularlized the theory that it’s a student’s mindset about his or her abilities that most greatly alters his or her performance in the classroom. It’s clear that one’s attitude is a major determining factor in any outcome. 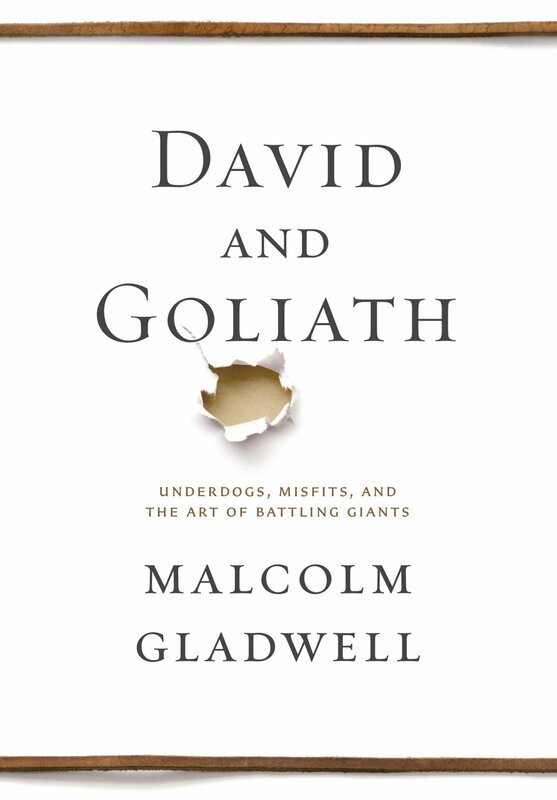 Gladwell tells anecdotes of people who despite their life circumstances maintained a positive attitude and found ways to turn their negatives into positive outcomes. For instance, statistics show that many successful entrepreneurs are in fact dyslexic. It’s hard to imagine how a businessman could succeed without great reading skills and yet these people have found ways around their so-called disability. Not only have they found ways around their one deficit, but they also have capitalized on other skills they possess such as interpersonal and mathematical skills. In so doing they made themselves so successful that no one would even guess they had a deficit in the first place. Stories like these are good for educators to keep in mind in the classroom. All students possess inherent advantages and disvantages from an academic standpoint, but those don’t necessarily translate into the real world. Also, it’s important that educators understand how what is initially perceived as an advantage or disadvantage can actually be the opposite. Students also need to understand that what they think are their weaknesses might be their strengths. I think everyone can benefit from reading this book because it offers a counter perspective on the stereotypical preconceived notions we all hold.